It's official. Two paradigms have shifted. Sen. Bernie Sanders is a millionaire, and the millionaire in the White House will have a primary challenger. Sanders, who has for decades delivered tough talk aimed at the wealthiest Americans, is now among those top earners, according to his tax returns that he released Monday evening. And although he may not be a household name, former Massachusetts Gov. Bill Weld's formal entry into the 2020 Republican presidential primary changes the narrative of the entire race. The incumbent president who's struggled in the polls since taking office will not run unopposed. Of course, the entire Republican Party apparatus is firmly behind President Donald Trump, and he enjoys an enormous financial leg-up over everyone, on both sides, as well as remarkable fundraising and grassroots prowess. It's hard to imagine Weld's campaign as more than an interesting asterisk at this point. Still, if over the next eight months Weld gains steam or cracks the president's base in an early state, it could create ripple effects. 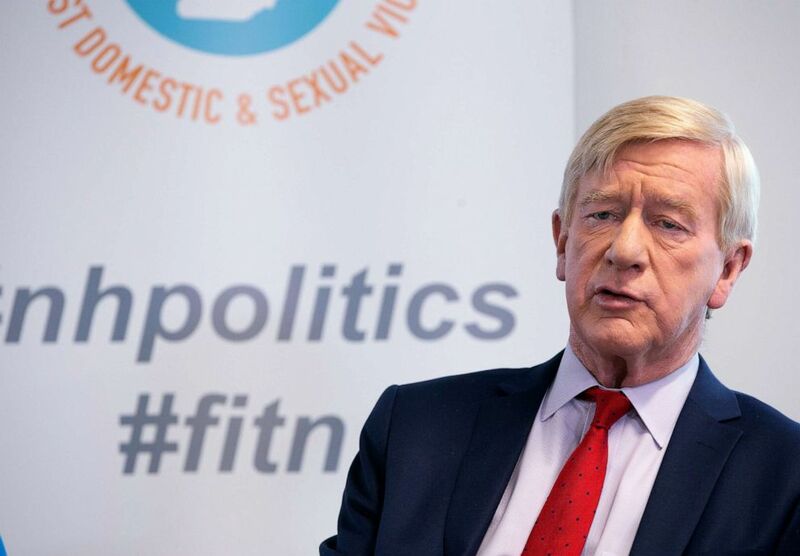 According to Weld, a win would be enticing and could inspire others in the party, as well as independents, to rebel against the status quo. In that way -- in a small way -- this early, longest-of-long-shot bids has an air similar to Sanders from the last cycle. As he continues to teeter on the edge of announcing a presidential campaign, former Vice President Joe Biden is slated to deliver a eulogy for legendary South Carolina Sen. Ernest "Fritz" Hollings on Tuesday. Hollings was Biden's desk-mate and one of his closest confidants in the chamber during his 36-year Senate career. 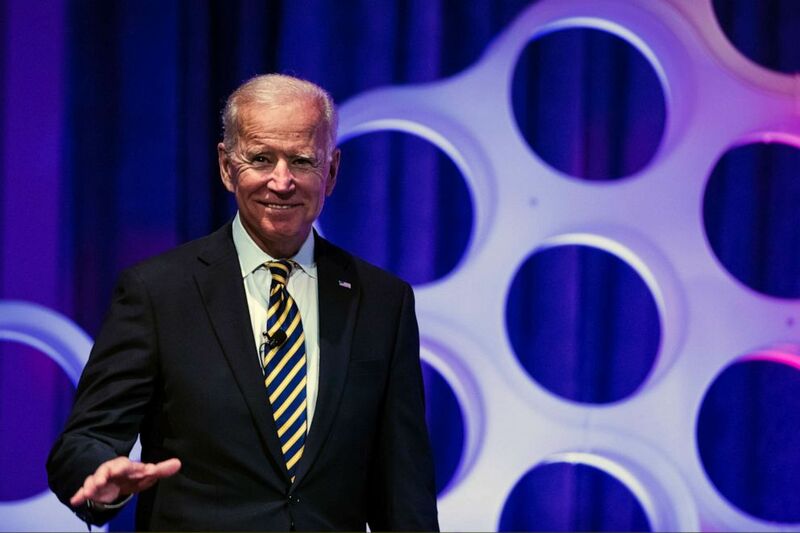 The speech is another chance for Biden to move past the scramble that ensued after his past behavior around women and his reaction to the concerns they raised came under scrutiny. It's also an opportunity to hearken back to his status as one of the country's most-established statesmen. Former Vice President Joe Biden arrives for a forum on the opioid epidemic, at the University of Pennsylvania in Philadelphia, April 11, 2019. While Biden's eulogy is sure to regale the many years he and Hollings shared as colleagues, his presence in the early-primary state of South Carolina so close to his anticipated presidential announcement is hard to ignore. Also eulogizing Hollings will be House Majority Whip Jim Clyburn, the most senior African American lawmaker in the U.S. House and a key player in South Carolina politics who's been in regular contact with Biden about a potential bid. The Palmetto State will be key to a Biden candidacy, as will the South in general, where African American voters carry huge sway and more than 15 candidates may be asking for their votes. Small-city mayor-turned-presidential contender Pete Buttigieg might be looking to add one more title to his growing list of monikers: father. The 37-year-old opened up about his hopes for the future when asked about paid family leave at a grassroots fundraiser in Brooklyn, New York, on Monday. "We're hoping to have a little one soon, so have a personal stake in this one," he said. "We should have paid parental leave and find a way to have paid leave for anyone who needs caring." He also pointed to a paid-family-leave policy he implemented in South Bend, Indiana, saying it shaped "a better employer and city." Later, on MSNBC, he admitted that his ambitions and unexpected rise might delay his family plans with his husband, Chasten. "This running for president has slowed down the path," he conceded. The president and vice president will eat lunch around 12:15 p.m., and at 4 p.m. the president will participating in the swearing in of the new EPA administrator. Former Vice President Joe Biden delivers the eulogy for former Sen. Fritz Hollings at the Summerall Chapel on the campus of The Citadel in Charleston, South Carolina. The funeral begins at 11 a.m.
Fresh off his campaign trip through North Carolina, former Texas Congressman Beto O'Rourke heads to Virginia to meet with voters in nine counties: Norfolk, Hampton, Williamsburg, Henrico, Charlottesville, Fredericksburg, Alexandria, Prince William and Fairfax. Sen. Amy Klobuchar, D-Minn., returns to Florida, for her second visit as a presidential candidate, to meet with voters in Miami and Tallahassee. Sen. Cory Booker, D-N.J., continues his campaign swing through Iowa, visiting Woodbury, Carroll, Story and Polk counties. Rep. Tulsi Gabbard, D-Hawaii, is also in Iowa, visiting Iowa City and Muscatine. 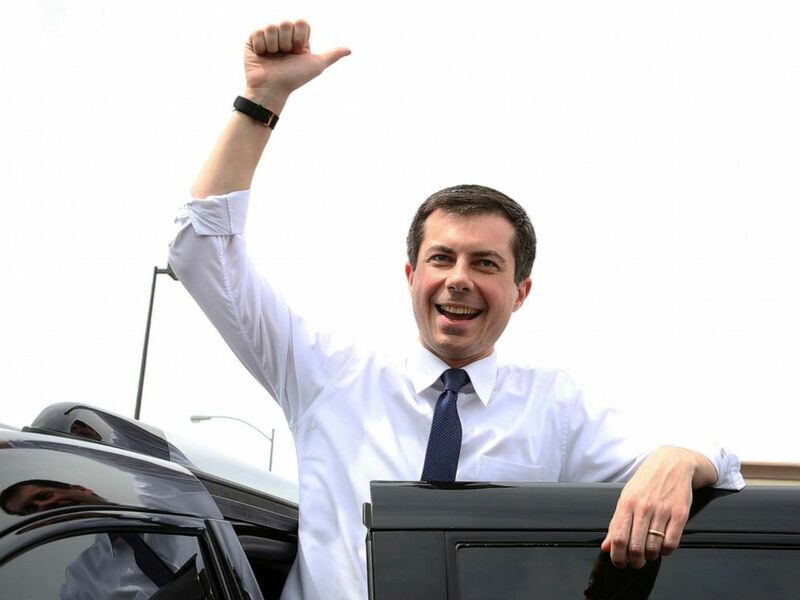 South Bend, Indiana, Mayor Pete Buttigieg also travels to Iowa for a two-day campaign swing, holding a town hall in Fort Dodge at 3:30 p.m. CST and a rally in Des Moines at 5:30 p.m.
Former Maryland Congressman John Delaney closes out his latest trip to New Hampshire with a pancake breakfast in Deerfield at 7:30 a.m.
Sen. Elizabeth Warren, D-Mass., stops in Colorado, as part of her three-state tour that includes South Carolina and Utah, for an organizing event at 6:30 MST.